Collect and Organize. What do you collect for your work? Are you keeping those favorite recipes organized? Build your library to quick access and get inspired. I have lots of notebooks and sketchbooks with relevant information that saves me time from searching online for the right and appropriate term. 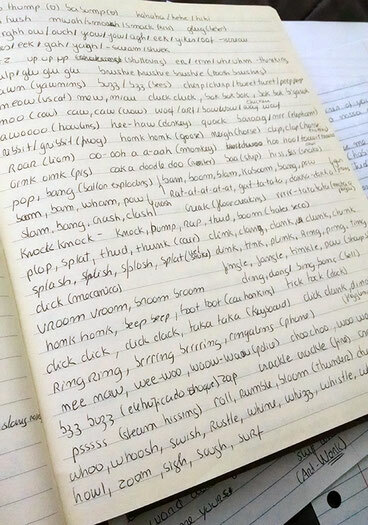 Today I am updating my onomatopoeia collection so I can use it while I create my graphic novels and comics. Visual sounds are always funny and give a lot of motion and action to the graphic novel panels and pages. For those who are not creating art, keep a journal of your memories and thoughts.